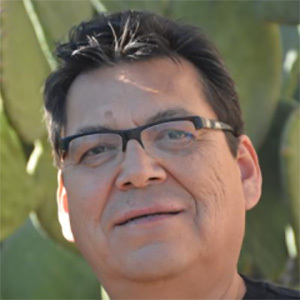 Francisco Lara-Valencia, is an Associate Professor of the School of Transborder Studies and Southwest Borderland Scholar at ASU. He is also a faculty affiliated to the School of Geographical Sciences and Urban Planning at Arizona State University. He received his PhD in Urban Planning from The University of Michigan at Ann Arbor and did graduate and undergraduate work in Mexico. He has lectured in Mexico and the United States where he has taught courses on urban land use planning, urban economics, environmental planning, and research methods for planners. Lara-Valencia's major areas of inquiry include socio-environmental vulnerability, urban health, regional development, binational planning, and the role of community networks on sustainable development. His policy research focuses on issues of equity and efficiency of policy making and planning along the US-Mexico border. Wilder, M. C., G. Garfin, P. Ganster, H. Eakin, P. Romero-Lankao, F. Lara-Valencia and F. Munoz-Arriola. 2013. Climate change and U.S. Mexico border communities. Pp. 340-384 In: Garfin, G., A. Jardine, R. Merideth, M. Black and S. LeRoy eds., Assessment of Climate Change in the Southwest United States: A Report Prepared for the National Climate Assessment. Island Press. Washington, DC.